Perfect for a necklace or bracelet, this design by prasert kunaphol recreates ancient Thai art motifs. 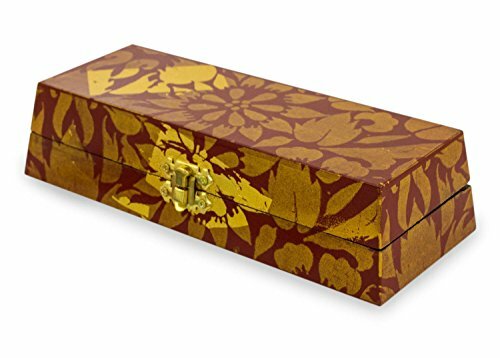 The jewelry box is crafted and painted by hand. Applications of gold foil receive a protective coat of lacquer, and the box is lined in red velvet.